Lenny, you are in luck this week. TCM has scheduled Buster Keaton's The General, a superb adventure-comedy that speaks your language. The movie, like a ten-month-old, doesn't speak. During the first few decades of movie making, the ability to synchronize sound to film had not been developed. The lack of spoken dialogue did not impede motion pictures. It led to an entire art form that could be called pure cinema. Just as the fact that you do not yet have a vocabulary with which to express yourself makes you purely human. You cannot hide your feelings; they are on the surface for all to see. In a silent picture, you will be able to understand the characters by their reactions. 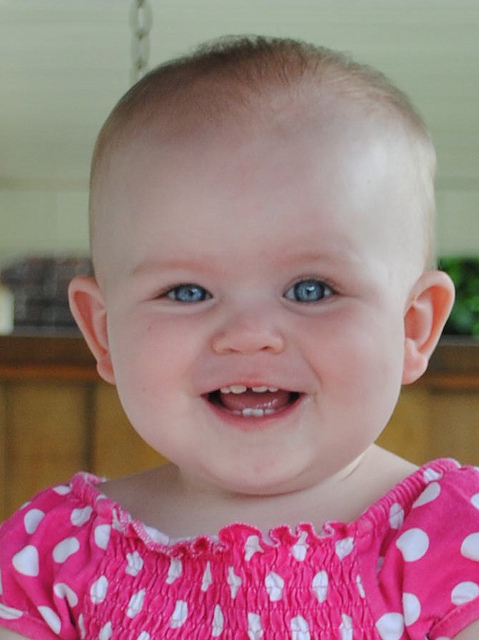 Often the reactions in a silent movie or from a baby are described as "over-the-top", but if you think about it, the reactions are perfectly natural. It is words that suppress natural reaction. Words are very important communication tools. The words we choose, carefully or carelessly, tell us a lot about one another. However, words are not the only way people communicate and that is important to remember as you grow and add more people to your circle. Silent movies, like babies, are never completely silent. In the theatres where they played to audiences, musicians would accompany the movie with appropriate background music. Sometimes a piano or organ, maybe a fiddle or two and maybe an accordion would be played. The music would set the mood of comedy or romance or create excitement in a chase scene. The music added to the pleasure of seeing the movie. 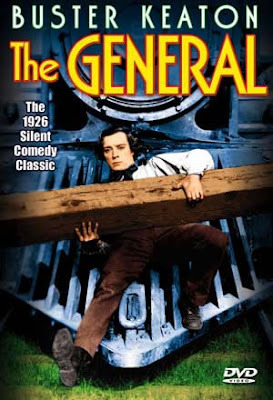 Buster Keaton is the director and the star of The General. As the director, Buster was in charge of how the scenes are played and how the movie looks. He was the boss. Some people have to be the boss because they like to have power and push people around. Some people, like Buster, have to be the boss because his movies were his ideas and only he knew how to make them turn out exactly right. Buster was very proud of The General because it was his dream, his vision come to life. A very important thing to remember in life is not to let anyone step on your dreams. If you want to know anything about Buster Keaton, you can ask your Aunt Maureen. If you want to know anything more about The General, check out Another Old Movie Blog. I love this, excellent comparison of the storytelling in silent films, and the wordless communication of babies. Thanks so much for the link. I wish I had an aunt like you. I would love to see Lenny's reaction to Buster's antics. As a read-the-credits-gal, you're already an honourary member of the family. This is so great!!! Thank you Caftan Aunt! Caftan Aunt. Caftan Aunt? I like it! Clara, I suggest for your silent film viewing an appealing and handsome gentleman by the name of John Gilbert. He most definitely will NOT give you the creeps! You might say "oh, baby!". Clara, I also suggest watching Marion Davies in "Show People." Her antics are anything but "creepy."